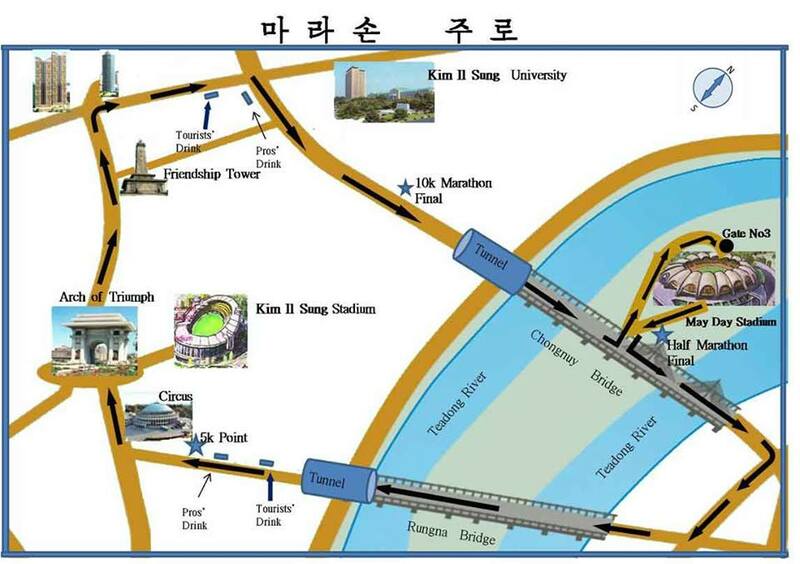 I first read about the Pyongyang marathon late last year via the Just Run Lah Faceboook page. I immediately wanted to join - if I could get my Korean-speaking sister to go with me. I did by offering to pay for the whole trip for both of us. 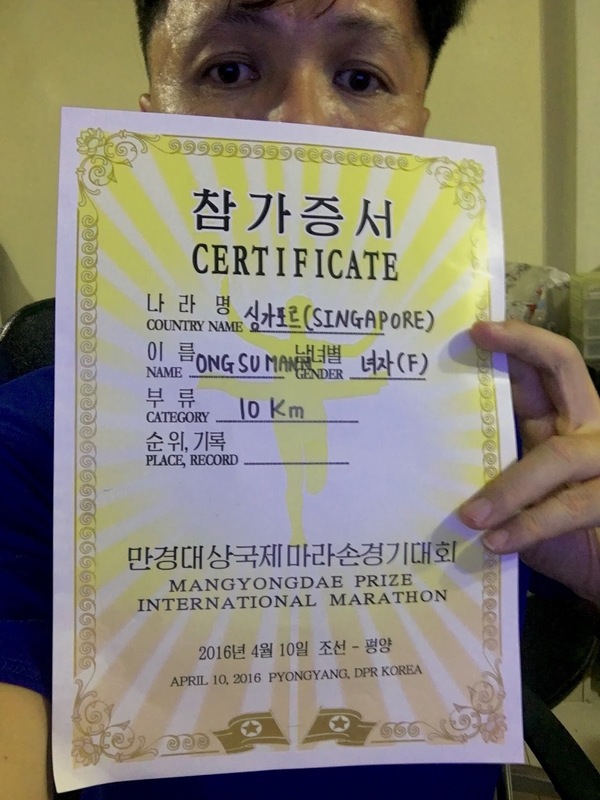 Which was how I ended up in North Korea on Sunday morning getting ready for my 10km run in the Mangyongdae Prize International Marathon. It would be my first race overseas. Flag-off was 9.30am inside the May Day Stadium, but first, we have to wait for the opening ceremony. After the opening ceremony, we had to rush back into the tunnel and change into our running gear for the flag-off. Yes, I did get to high five (or low five) the Korean bystanders along the way, especially the kids. 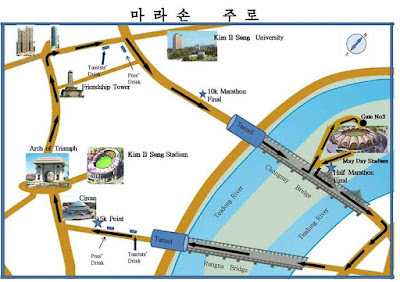 One major disappointment about the race is that the 10km finish line is just mats. You can barely tell that it's the finish line. 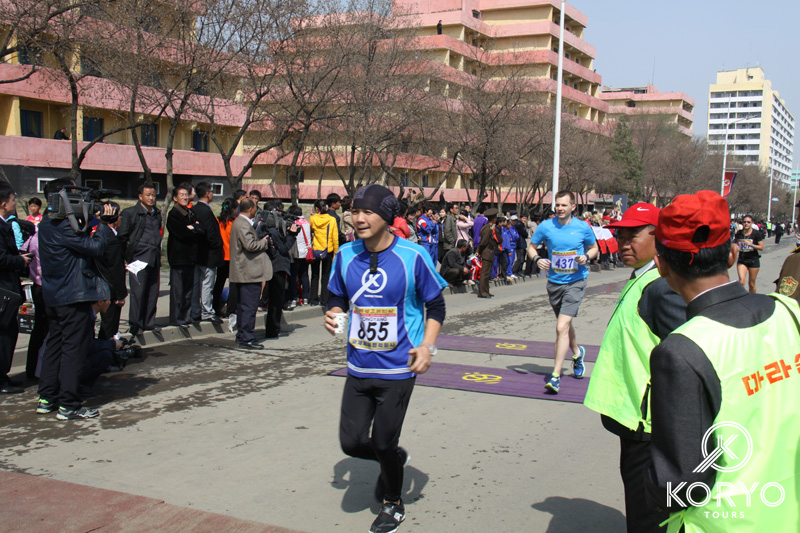 There was no one giving out finisher T-shirts or medals because only the top finishers in the various categories get medals during the closing ceremony. Although there were drinks station along the way, there was no one giving you water after you finish. That's why I was saving my water from the last drinks station, knowing it was almost 10km. You can see me holding a cup after crossing the mats in the photo below. After the race, my sister spoke to these children to find out whether they were actors hired to be there for our benefit. She concluded that they weren't. Don't believe everything you see in The Interview. I don't know why my marathon certificate says I'm female. 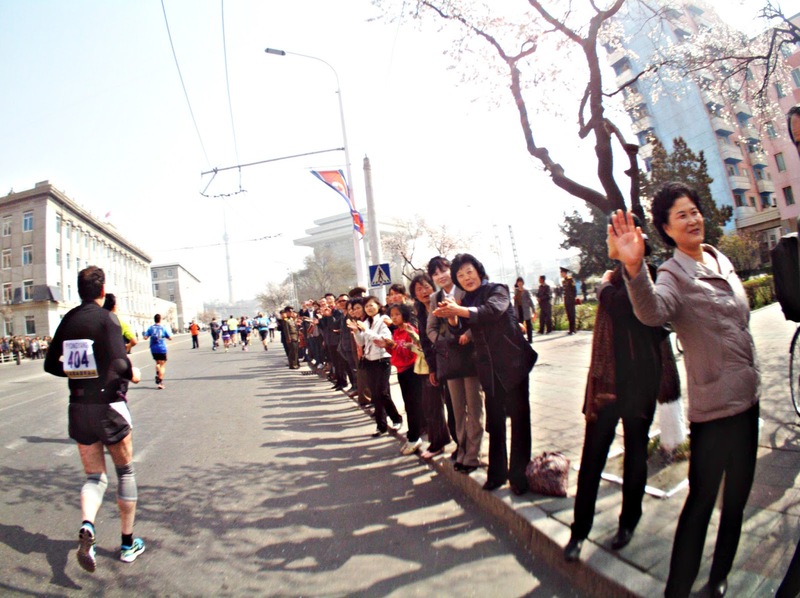 I kind of wished I had signed up for the half marathon so that I could've seen more of Pyongyang and its people on foot, and made the trip more worthwhile. Because of the cooler-than-Singapore weather, I think I might have been able to make the two-and-a-half-hour cut-off time for the half marathon.